Located 30 minutes north Fort Lauderdale, 10 minutes south of Boca Raton and one hour north of Miami, Chateaux Parkland is a pair of two exclusive enclaves within the prestigious gated communities of Miralago and Cascata. Chateaux is set within the affluent and picturesque city of Parkland, Florida. Parkland is a suburban oasis with lush green landscaping, just far enough from the hustle and bustle of big city living, yet still close enough for easy access to all of the spectacular shopping and dining that nearby metros have to offer. 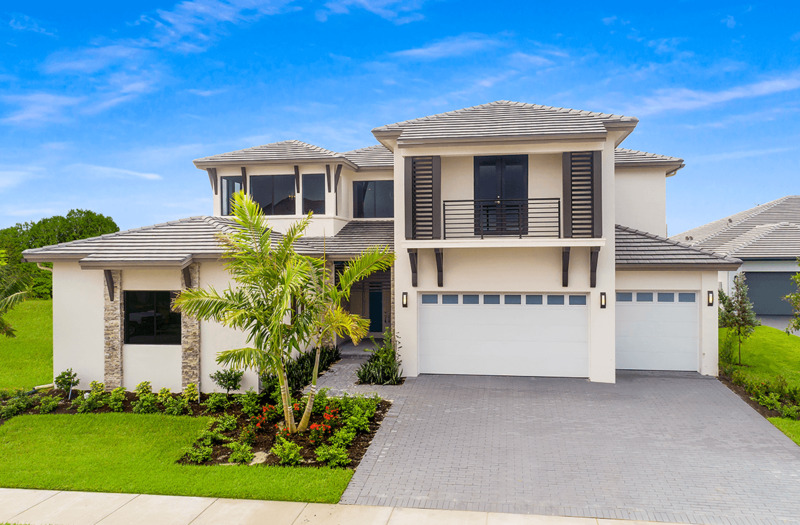 Residents of Chateaux by CC Homes have full access to two resort-style clubhouses in Miralago and Cascata. These clubhouses feature fitness centers, swimming pools, outdoor lounges, spas, billiards rooms, ballrooms, playgrounds, tennis courts, basketball courts and so much more. Chateaux estate homes are built on some of the largest homesites available in Parkland, sized 80’ wide and larger. One or two-story floor plans are available with plentiful options to customize according to personal needs and tastes. Modern finishes such as Italkraft cabinetry, quartz countertops, Kohler faucets and gas-range cooktops are included and a plethora of designer options are offered at the Chateaux Design Studio. Its location is convenient to South Florida’s beaches, marinas, golf courses, and entertainment attractions. Boca Raton is 10 minutes away and offers a variety of shops and restaurants. There are also parks, hiking and outdoor attractions nearby, including the Florida Everglades. The Orrico Team at Loggerhead Realty has been helping northern Palm Beach County and Martin County residents , buy, sell, or rent their homes since 1990. As long-time residents of Jupiter, we have watched our community develop into the wonderful town that you see today. We are proud of our efforts to help our neighbors enjoy this beautiful place. The Orrico Team is family-owned and -operated. We are affiliated with Loggerhead Realty, which is owned by our son, Anthony P. Orrico. We wouldn't entrust our clients to anyone else. We cherish our family reputation! Honest. Ethical. Experienced. Competent. Caring. We will treat you like you're family! Contact The Orrico Team at Loggerhead Realty for all your real estate needs!